An account named "ablackcar" ended up taking down the Party Poker 500k guaranteed tournament last week for 140k. That is fine, except for the fact that it came out after the fact, on pocketfives.com, that the "ablackcar" account was being played by JJProdigy, a well-known and very good online tournament player. The real big problem? JJProdigy had played in the same tournament. So, about twenty minutes after the tournament ended, it was revealed that JJProdigy had had two accounts playing in the same tournament (at least two). When confronted with this information, JJProdigy said that the "ablackcar" account had been played by his grandmother until the closing stages of the tournament. At that time, JJProdigy took over and finished up the tournament. Anyone with half a brain could see that this was a lie. Someone checked up on the "ablackcar" account, and miraculously, "ablackcar" only played in tournaments that JJProdigy was playing in, and only played tournaments with a large buy-in. The JJProdigy situation was reported to Party Poker, and they took immediate action, freezing the "ablackcar" account. About five days later, Party Poker announces that not only have they banned the "ablackcar" account and confiscated the 140k, but they also banned the JJProdigy account, and confiscated 40k. Everyone who placed in the money in the Party 500k Guaranteed was bumped up a spot, and the 140k was redistributed. After the fact, JJProdigy came out and posted that he did in fact knowingly cheat. Party Poker forced his hand though, as they said that the two accounts played from the same computer, when he had originally claimed that his grandmother was in the other room, playing until he took over. JJProdigy claims that he will be taking "legal action." Cough. First off, for anyone who doesn't know, this type of behavior is rampant in the online poker world. 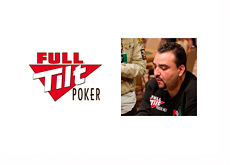 Numerous high profile online players are entering multiple accounts into poker tournaments. I've heard that some players enter as many as 10 different accounts into one tournament. Kind of gives them an unfair advantage don't you think? Someone who was defending JJProdigy made the analogy that it is just like buying multiple lottery tickets. Well, first off, there are no rules stating that you can't buy multiple lottery tickets (whereas there is language in every poker sites TOU that are you not allowed to enter multiple accounts into a tournament); secondly, if you have multiple accounts entered into the same tournament, there becomes a very real possibility of chip-dumping if you have multiple accounts playing at the same table. I will argue this till I'm red in the face, but multiple accounts is just not fair and certainly not ethical. Hats off to Party Poker. They issued a harsh punishment that added significant credibility to their operation. No doubt this practise will continue, but Party Poker sent a great message. "If we catch you cheating, you're losing everything." With this decision, Party Poker gained a lot of respect in the online poker world. It's the only decision they could have made though; if they had let JJProdigy keep the 140k, their tournaments would have become an instant joke. People would have been entering 20 accounts into one tournament. For anyone who doesn't think this would give someone an unfair advantage; can you imagine 20 Phil Ivey's playing in the same tournament? Don't you think there would be a great chance that one of the 20 Phil Ivey's would end up winning, and even a better chance that two or more of the Phil Ivey's would end up sometime in the tournament playing at the same table? To everyone else out there cheating: Watch out for the Karma police. UPDATE: Poker Stars has now banned the "JJProdigy" account after doing their own investigation and finding that "JJProdigy" was playing with multiple accounts in some of their tournaments. Word has also leaked that "JJProdigy" is only 16 years old. The poker sites have a MAJOR problem on their hands here. How will the other rooms react? Was he only playing with two accounts or were there more involved?